ABC gets dragged down to fourth place by weak country-music special at 10 p.m.
How about them Cowboys? NBC wishes it could schedule “America’s Team” for every “Sunday Night Football” game. 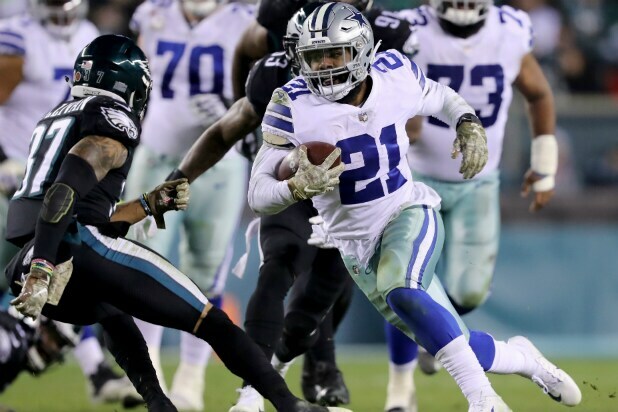 Dallas’ late victory over the defending Super Bowl champion Philadelphia Eagles handed NBC Sports another big Sunday primetime in terms of TV ratings. With an overrun from its afternoon NFL game, CBS finished second this week. ABC fell to fourth with a low-rated country-music special at 10 p.m.
Due to the nature of live sports, the below Nielsen numbers for NBC and CBS are subject to significant adjustment. 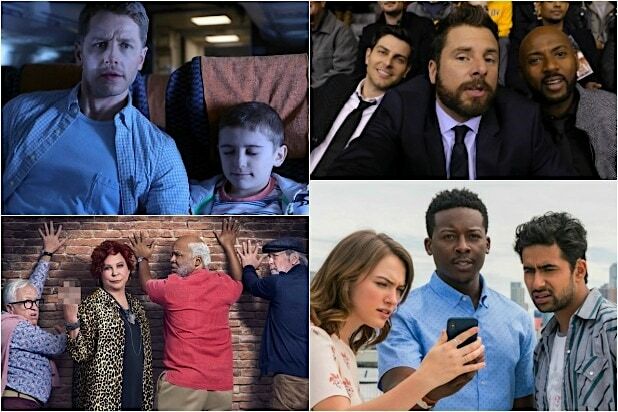 NBC was first in ratings with a 4.8 rating/19 share in the advertiser-coveted 18-49 demographic and in total viewers with an average of 15 million, according to preliminary numbers. That was all the NFC East showdown and its pregame show. CBS was second in ratings with a 1.7/7 and in viewers with 10.2 million. After an NFL overrun, which muddied up start times for the rest of CBS’ Sunday shows, “60 Minutes” had a 2.4 rating and 13.3 million viewers. “God Friended Me” got a 1.1 rating and 8.3 million viewers. Next, “NCIS: Los Angeles” averaged a 0.8 rating and 6.9 million viewers. “Madam Secretary” ended up with a 0.6 rating and 5.1 million viewers. Fox was third in ratings with a 0.7/3 and fourth in viewers with 1.9 million. After a pair of repeats, “The Simpsons” at 8 had a 1.0/4 and 2.4 million viewers. At 8:30, “Bob’s Burgers” got a 1.0/4 and 2.2 million viewers. “Family Guy” at 9 matched its lead-in’s numbers. At 9:30, “Rel” received a 0.5/3 and 1.2 million viewers. ABC was fourth in ratings with a 0.6/2 and third in viewers with 4.7 million. “America’s Funniest Home Videos” at 7 had a 0.8/3 and 5.7 million viewers. At 8, “Dancing With the Stars: Juniors” managed a 0.6/2 and 4 million viewers. A “20/20” with Michelle Obama at 9 got a 0.7/2 and 5.5 million viewers. At 10, “Country Music’s Biggest Stars” settled for a 0.4/2 and 3.5 million viewers. The CW and Telemundo tied for sixth in ratings, both with a 0.3/1. The CW was sixth in total viewers with 1 million, Telemundo was seventh with 745,000. For CW, “Supergirl” at 8 had a 0.3/1 and 1.2 million viewers. At 9, “Charmed” got a 0.3/1 and 947,000 viewers.